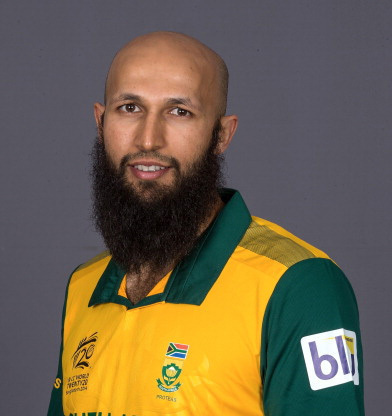 Hashim Muhammad Amla (born 31 March 1983) is a South African cricketer who plays for South Africa in all three formats of the game. He is also a former captain of the Proteas and is a right-handed batsman and occasional off-break bowler. Regarded as one of the greatest batsmen of the modern-era, he was South Africa's Test captain from June 2014 to January 2016. As of 29th May 2017, he is ranked by the International Cricket Council (ICC) as the world's number nine batsman in Tests and the world's number ten in ODIs. In 2013, Amla became the first batsman since Ricky Ponting to head both the Test and ODI rankings at the same time in the latest ICC charts. 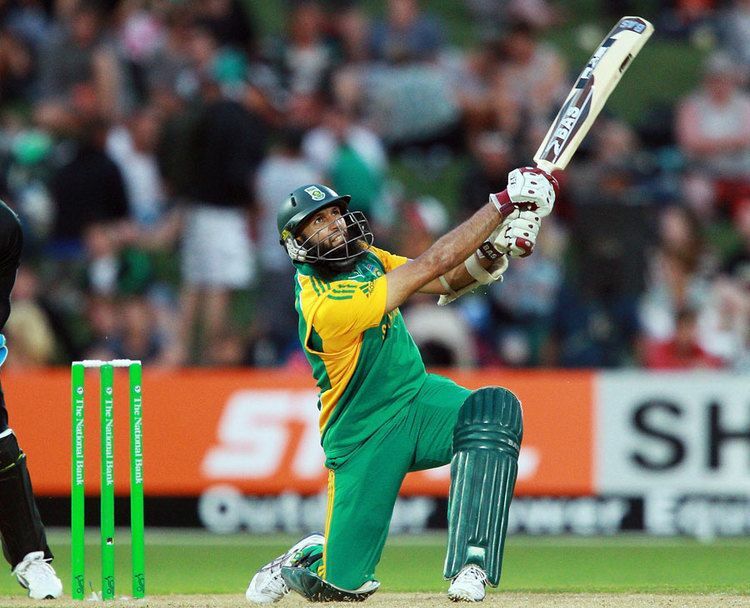 In January 2011, Amla became the fastest cricketer to reach 2,000 runs in ODIs, in his 40th ODI innings. He became the first South African to score a Test match triple century when he scored 311 not out against England in 2012. 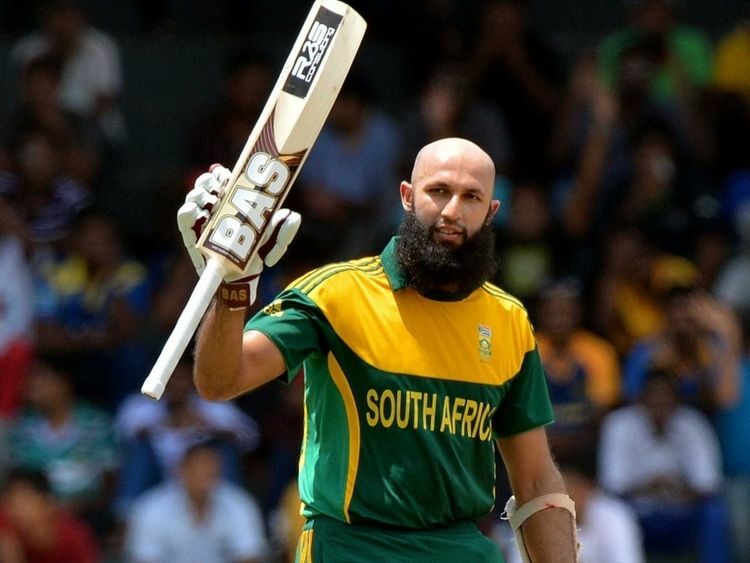 In the 57th innings of his ODI career, Amla became the fastest batsman to score 3,000 ODI runs, requiring 12 innings fewer than Sir Vivian Richards, and also became the fastest cricketer to reach 10 ODI centuries. On 8 December 2013, he became the fastest batsman to score 4,000 ODI runs, requiring 8 innings fewer than Richards. In 2014, he became the fastest cricketer to reach 15 centuries in ODIs in his 86th innings. In the same year he became the fastest cricketer to reach 16 centuries in ODIs in his 94th inning and fastest cricketer to 17 centuries in ODIs in his 98th innings. He scored 5 hundreds in ODIs in 2014. On 16 January 2015 against West Indies he became the fastest to reach 5,000 runs in ODIs in his 101st innings. On 18 January 2015 he became the fastest cricketer to 18 centuries in ODIs in his 102nd inning. On 3 March 2015 he became the fastest cricketer to reach 20 centuries in ODIs in his 108th inning. He has scored ODI centuries against all Test playing countries and only the fourth person to do so. He was named as one of the Wisden Cricketers of the Year in 2013. He recently hit 2 centuries in 2017 IPL season playing for Kings XI Punjab. He became fastest player to score 7,000 runs in ODIs – 11 innings quicker than Virat Kohli. On 3rd June 2017, he became the fastest cricketer to 25 ODI centuries, again 11 innings quicker than Kohli. Born to a South African Muslim Ansari family which has its roots in Gujarat, India, Amla is a devout Muslim. He was reared in a middle-class home and sent to the highly regarded Durban High School, which is also the alma mater of Lance Klusener and Barry Richards. 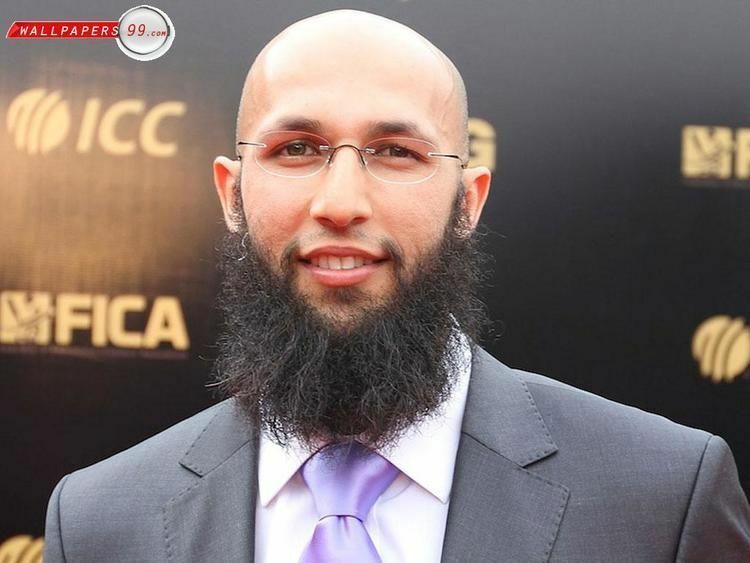 His elder brother, Ahmed Amla, was also a professional cricketer. He made his debut two years earlier than Hashim, and they played together for a time at the Dolphins. Hashim married Sumaiyah and they have two children, a son born in 2012 and the second in 2013. 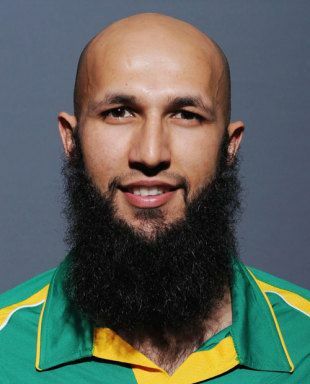 Upon graduating from Durban High School and impressing on the youth circuit, Amla made his debut for his provincial team, the KwaZulu Natal Dolphins, soon captaining South Africa at the 2002 Under-19 Cricket World Cup in New Zealand, leading his team to the final. During his formative years, former Western Province captain and coach Hylton Ackerman had been influential in Amla's development, first spotting his talent and honing his skills during his coaching career. His promise led him to being appointed captain of KwaZulu-Natal at the young age of 21. Amla was cited as a future captain of South Africa ever since his first class years. Amla moved from the Dolphins to Cape Cobras in 2013. Amla has also had four spells playing county cricket in England, for Essex in 2009, Nottinghamshire in 2010, Surrey in 2013 and Derbyshire in 2015. Amla plays for the Trinbago Knight Riders in the CPL. He has scored 410 runs in 11 matches with a strike rate of 126.54. Amla was picked in 2016 by the Kings XI Punjab as a replacement for Shaun Marsh, after the latter's injury. Since then, he has proved to be an integral part of the team's batting lineup. He has scored 600 runs in 16 matches, which included two centuries and three half-centuries. Upon being appointed captain of the Dolphins, Amla began the 2004–2005 South African domestic season by scoring four centuries during his first eight innings. His success at the domestic level and consistent performances for the South Africa A squad led to him being chosen for the winter 2004 tour of India at the age of 21, thereby becoming the first South African of Indian descent to represent South Africa in international cricket. Making his debut in Eden Gardens, Kolkata, on 28 November 2004, he initially made a slow start to his career, with his technique having been criticized after scoring 36 runs in the 2004 series against England. After honing his technique and working on his skills with the Dolphins, for whom he regularly top-scored in the South African domestic circuit, he proved his critics wrong in 2006 as he scored a comeback 149 against New Zealand at Newlands, Cape Town, helping guide South Africa to a match-saving draw. He subsequently continued this success, earning a national contract and scoring 1599 runs at an average of 57.10 in his next 19 Tests, solidifying his position as South Africa's number 3 batsman. On 27 March 2008, he scored an unbeaten 159 against India in Chennai amidst searing conditions. His success throughout the 2008 year, in which he scored 1012 runs, consisted of numerous centuries and solid performances against India, England and Australia. During South Africa's 2009 tour of Australia, Amla helped South Africa win a historic Test and one day series victory over Australia, scoring 259 runs at an average of 51.80 during the Tests and contributing crucial scores in the one day series, including a match-winning 80 in the series clincher. In April 2009, Amla was signed by Essex as their overseas player for a portion of the 2009 English county season, as a short-term replacement for Danish Kaneria. During his stay at the club, he scored two centuries in two Championship matches, including a match-saving 181 on his debut, the highest score by an Essex debutant, as well as 111 runs off 107 in his first Pro40 match, against Sussex. Essex fans had warmed to him throughout his stay, affectionately calling him "W.G" in reference to W.G. Grace. During England's 2009–2010 tour of South Africa, Amla was an integral member of the side throughout the series, scoring a crucial century in the first Test at Centurion and contributing important innings during the rest of the series. His performances also saw him move up the ICC Test Batting rankings. In 2016, he will make his debut for the Kings XI squad in the Indian Premier League, replacing the injured Shaun Marsh. The three match test series was one where Amla performed consistently but didn't register any centuries, he top scored with 44. The first test was a poor one for Amla scoring 2 and 5 as South Africa still won comfortably. In the following test he scored 44 and 41 as the match was drawn, he scored 5 and 25 in the final test match as South Africa won by seven wickets. In the three match ODI series against Zimbabwe, Amla scored 110 as South Africa gave Zimbabwe 351 to win and South Africa won the match by 64 runs. The second ODI saw Amla score 110 as South Africa cruised to an 8 wicket victory and sealed the three match series with one game to spare. Amla had a quiet final ODI scoring 24 as South Africa won by 264 runs. Amla went into a five-match ODI series against Pakistan on the back of good form and in the first ODI managed 35 as South Africa won by 8 wickets. Amla scored a quickfire half century in the second ODI before being given leg-before to a Shahid Afridi leg-break, despite this good knock from Amla and 286 from South Africa, they couldn't win the match courtesy of a superb century by Abdul Razzaq scoring 109 of just 73 balls. In the third ODI Amla scored 119* as the rest of the South African order collapsed around him and the team only managed 228, however South Africa won the match by just two runs courtesy of some superb death bowling yorkers from Rusty Theron. 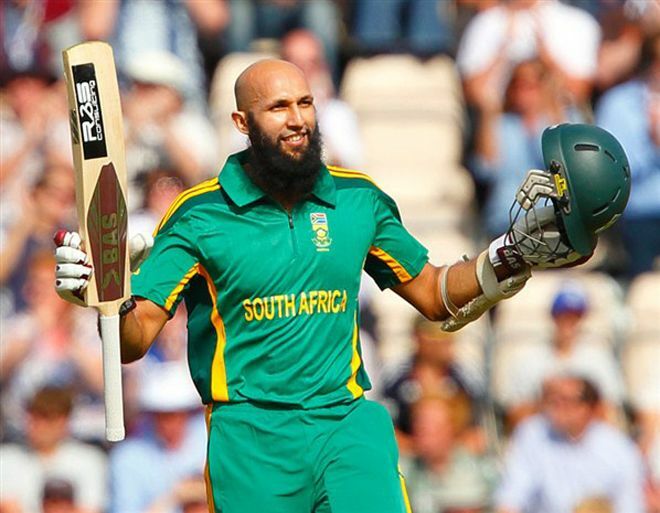 Following these excellent performances in the ODI format Amla was selected in the 12-man Twenty20 squad against India, at the Moses Mabhida Stadium. He was selected in place of opener Loots Bosman. The most significant thing about the match before it started or ended was that it was the final match of Makhaya Ntini. He is one of the greatest personality in modern cricketing world. During the Proteas tour of England, he scored the highest ever test score by a South African and the country's first triple century while playing in the 1st Test at The Oval. He scored 311 not out in a man of the match performance, as South Africa defeated England by an innings and 12 runs. He then scored his 16th Test century in the 2nd innings of the 3rd Test at Lords, as South Africa beat England by 51 runs to clinch the series by 2–0, and ascend to top of the ICC test rankings. He was South Africa's man of the series, and during the ODI series that followed he scored a career-best 150 (from 124 balls) in the 2nd match against England at Southampton. They then toured to Australia, where Amla scored 104, and shared a 165 run 3rd wicket partnership with Jacques Kallis in the 1st Test at The Gabba,. Amla and Kallis are the most prolific partnership in South Africa's test match history. In the 3rd Test at the WACA, Amla scored 196 in the 2nd innings in a match-winning, series-clinching effort. Together with Graeme Smith, their 2nd wicket stand of 178 in 2 while his century came up in 87 balls. 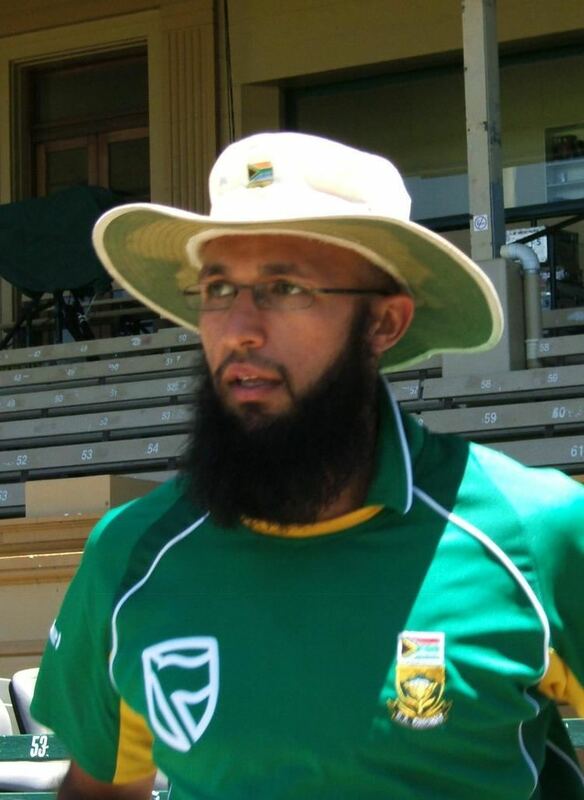 During bilateral series against New Zealand in January 2013, Amla was requested to lead the team due to suspension of regular captain AB de Villiers for 2 matches due to slow overrate, that Amla declined requesting to be left to "concentrate on his batting". In August 2013 it was announced that Amla had signed for Surrey, for whom he made a limited number of appearances in domestic matches. In June 2014 Amla became South Africa's first permanent non-white test captain (although Ashwell Prince had it temporarily), ahead of the Sri Lanka tour following Graeme Smith's retirement. Amla captained his side to a historic victory against Sri Lanka in his first test series as captain. He also continued to make domestic appearances for Surrey when other commitments allowed. In January 2015, he was named the player of the series in a bilateral series against West Indies. In August 2015, he won Man of the match against New Zealand for his match winning century. He was included in the Boland cricket team squad for the 2015 Africa T20 Cup. During first Test against Sri Lanka at St George's Park, Amla dismissed LBW to Nuwan Pradeep in the second innings, becoming the 10,000th lbw victim in Test cricket history. First African batsman to score triple century in Test matches. First South African captain to score a Test century against Sri Lanka in Sri Lanka. 1,000 runs in both Tests and ODIs in the same calendar year (2010). Hashim Amla & Faf du Plessis hold the highest partnership for South Africa (247 runs), set against Ireland in the 24th match of World Cup Cricket on 3 March 2015 at Manuka Oval, Canberra. Amla made his career best of 159 in that match and South Africa became the first team to make back to back scores over 400 in ODIs, setting a total of 411/5. Fastest cricketer to reach 7th, 8th, 9th, 11th, 13th, 14th, 15th (86 inns), 16th, 17th, 18th, 19th, 20th, 21st, 22nd, 23rd, 24th and 25th (151 inns) centuries in ODIs. Hashim Amla and AB De Villers' partnership of 308 runs against West Indies is the record 4th wicket partnership for South Africa in a test match, was played from 17–20 December 2014. First south African batsman to score 25 centuries in ODI. Fourth cricketer to score 25 centuries in Test and ODI both after Sachin Tendulkar, Ricky Ponting, and Kumar Sangakkara.